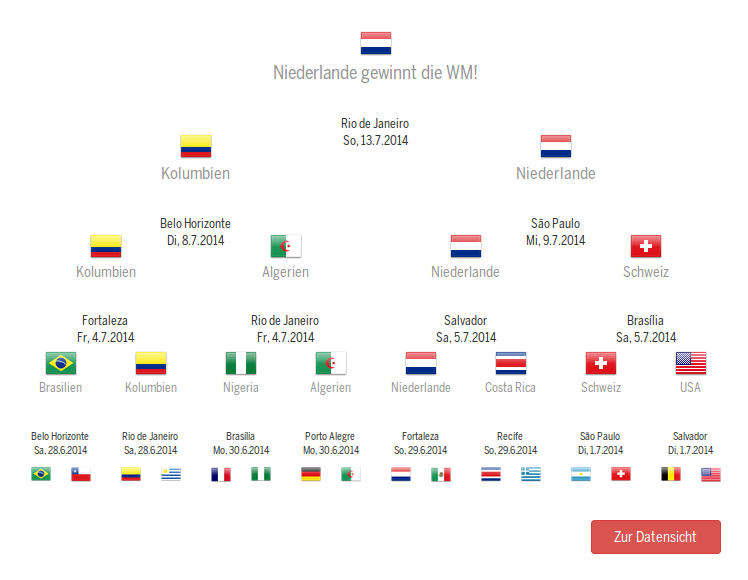 About a month before the start of the 2014 soccer world cup in Brazil, my colleague and fellow data journalist Julian Schmidli, with whom I worked together at Tages-Anzeiger and now at SRF Data, came up with the idea of creating an interactive soccer prediction game. Not an ordinary one, but one that would assist users in finding an optimized prediction for all encounters, based on the variables they would judge important for winning the tournament. 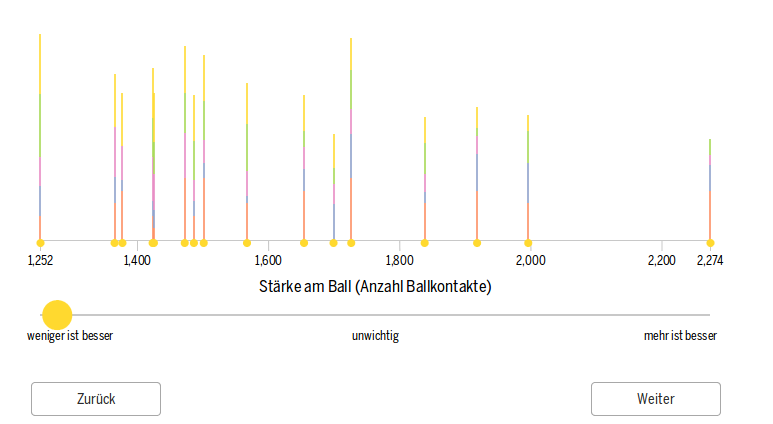 According to how a user weights a certain variable such as ball possession, the teams score differently. Each dot on the horizontal axis represents a team, and the height of the bar represents its accumulated score. In the end, after the user has weighted each of the eight variables such as ball possession, scored goals, etc, he is presented with a complete tournament simulation. As he or she alters the weights on the right hand side of the screen, the tournament is dynamically being recalculated. At the end, the user is presented with a simulated tournament overview. The application was designed as “mobile first” and is perfectly playable on mobile devices, too. There, less information is shown in the tournament overview, and the weighting controls do not show accumulated scores, but current weights only. On mobile devices, the scores are only shown for the current variable/weights. 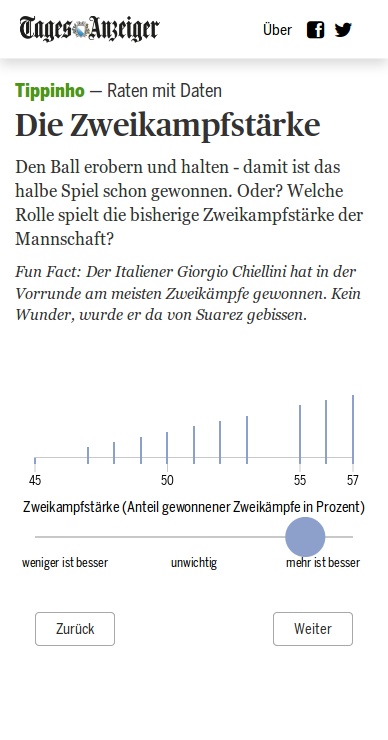 This project won a prize in the category “data journalism” of the 16. European Newspaper Award (p. 44), together with another project we realized at Tages-Anzeiger.